If you would like a free consultation or to schedule an appointment with our charlotte chiropractor. Please call us in Charlotte, NC at 704-522-6410. Dr. Robert Simmons has been serving the Charlotte, Pineville Steele Creek and Uptown area for many years as a chiropractor and certified applied kinesiologist. 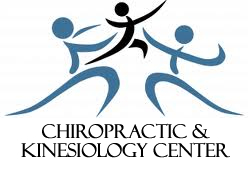 At the Charlotte Chiropractic and Kinesiology Center we treat each patient individually. By combining our customized chiropractic care plans with nutirition and applied kinesiology we have helped patients suffering from neck pain, low back pain, headaches, tmj, stress and muscle tension. Chiropractic care not only improves your overall health, but provides pain relief that occurs from car accident injuries. Whiplash inury of the neck acan result from a sprain or strain of the neck muscles. Chiropractic treatments have helped many with whiplash injury. Call 704-522-6410 in Charlotte, NC to make an appointment for our charlotte chiropractor. Before providing chiropractic care, Dr. Robert Simmons will perform a thorough and comprehensive chiropractic exam. This will include a computerized chiropractic posture exam and range of motion. Our charlotte chiropractic office will also use applied kinesiology and nutrition response reflex testing to further evaluate your needs. Please take some time and explore our chiropractic website. We have health and wellness articles by our charlotte nc chiropractor that explain many of the benefits of chiropractic care. Our Youtube channel has videos showing neck pain, low back pain, tmj, headaches and more. Our charlotte chiropractor also adjust extremities like shoulders, hips, elbows and wrists for carpal tunnel syndrome. Follow Dr. Robert Simmons on Google+!